Buying an engagement ring is one of the biggest purchases you'll ever make -- financially and emotionally. This piece of jewelry will be the material embodiment of your love and marriage. You'll look at it every day, so you need to love it as much as you love each other. With a purchase this important you want to get it right! Many buyers look for Designer rings for the luxury style they want, and to have a name behind it that they trust and feel comfortable with. 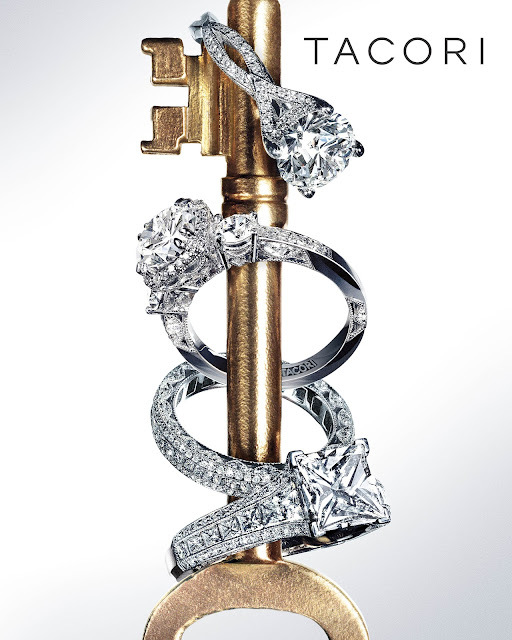 When surveyed in 2011, 1500 women across America choose one brand above all others as the ring they wanted, that brand was TACORI. So I looked a little closer at this brand to try to figure out why. What is so special about a TACORI ring? I already knew from my coworkers who are headed towards the aisle (and even a few who aren't) that the rings torn from magazines and taped to their cubicle to ogle are always TACORI. So I decided to get a few 'professional opinions' from people in the jewelry industry. I asked a 'jewelry specialist' at a large chain of jewelry stores, ironically that store doesn't carry TACORI, so he asked to remain anonymous. He said they are pretty much the best made products available, especially for the money. Another salesperson from JR Dunn Jewelers whospecializes in TACORI Engagement Rings told me that "The Crescent styles are the most popular, and the TACORI criss-cross 2565 in any shape or size is the most requested. The diamonds are chosen to be the best, with terrific fire and brilliance. Diamond experts rate them as superior quality. These rings are hand-crafted by expert jewelers who specialize in engagement rings, which means the finished product is going to be perfect." Maybe so, but no one would buy a perfectly made, high quality ring if it was ugly right? 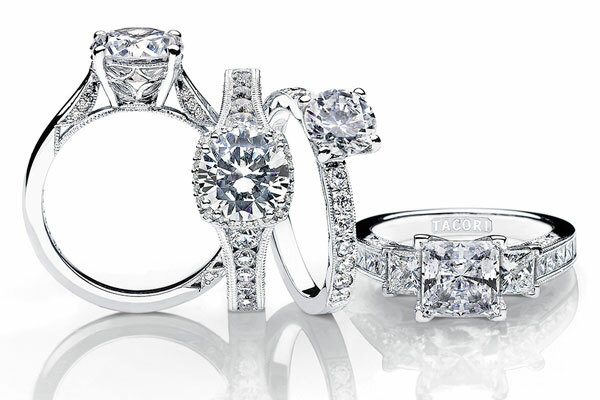 "TACORI is always at the forefront of style. Look at any magazine or article on trends for engagement rings, or especially at celebrity rings, because TACORI has a huge following in Hollywood. 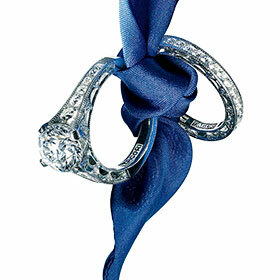 Chances are that famous starlet or mega movie star you read just got engaged is wearing a TACORI ring." As they say "Every woman wants a TACORI ring but it seems they only end up on the fingers of the most loved." I'm not sure if that's true, but when I asked a coworker here who is ring shopping with her fiancé what ring she wants... you guessed it, TACORI. After all my research I think it comes down to one thing: these rings are just plain beautiful. If you're lucky enough to get one, enjoy!